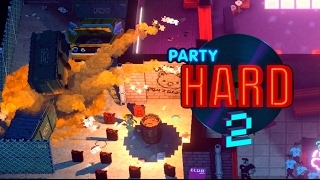 Developed by Pinokl and tinyBuild, Party Hard 2 is a stealth strategy video game, available for the Windows and Mac OS X operating systems. 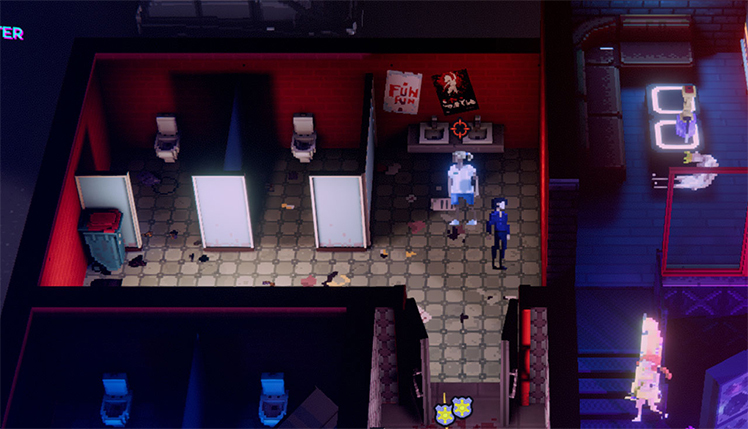 While it is the sequel to the award-winning Party Hard, this game has a complete overhaul of the original graphics. It also has an entirely new story. Players don the mantle of a recently fired corporate drone, who decides that the only way to get revenge is by crashing the company party-- with murder! Be extra careful in not getting caught while killing everyone. There are countless ways of ending partygoers, from a trusty knife to randomized events that help players on their serial killing quest. Follow the story and learn the identity of this new and nefarious murderer. Experience the black comedy firsthand by doing things such as driving a Lamborghini through a packed Vegas party. Avoid the cops and special forces at all costs, though! They'll take down the Party Hard Killer and end the murderous spree. 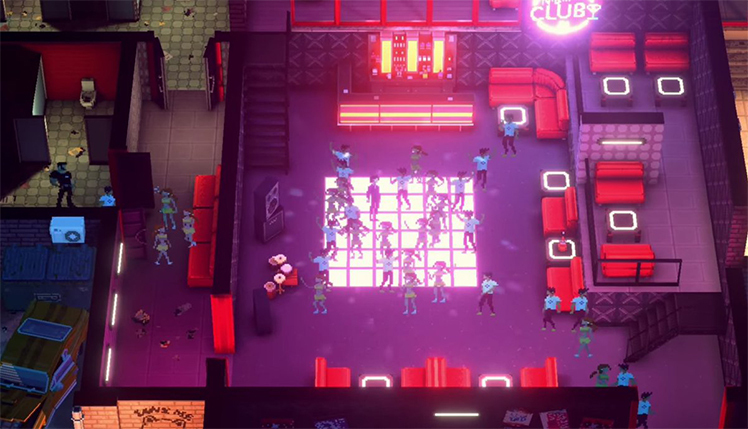 The original Party Hard had stylized 8-bit graphics, but Party Hard 2 gets a new look. The completely redesigned art provides a breath of fresh air while maintaining the great gameplay of the original. The environments are destructible, so look around and find creative ways to kill those partygoers! Make them pay by smashing through a wall with a car, or set a trap near the entrance and blow up any newcomers. The mayhem continues with randomly generated levels so that no two playthroughs are never the same. Local co-op returns in the second installment of this popular game. There are 3 completely new faces that players choose from as well as the Party Hard Killer. Additionally, there is an all-new insta-kill ability. 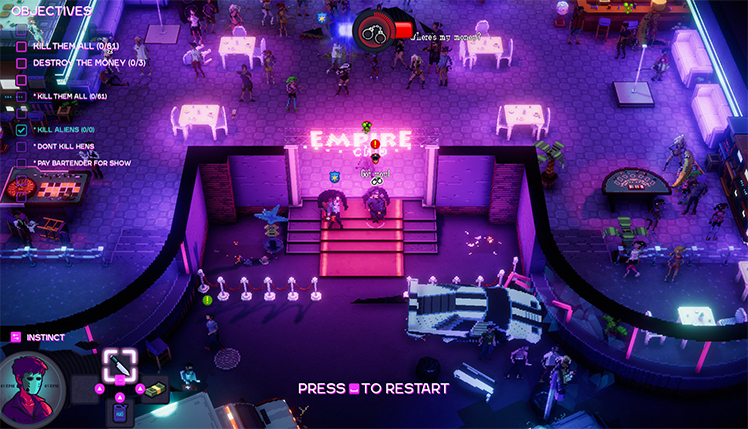 Players take out multiple partiers in one area of effect attack. While it has a cooldown, it's still a great way of inflicting massive death. Yet another new trick the Party Hard Killer picked up is party vision. 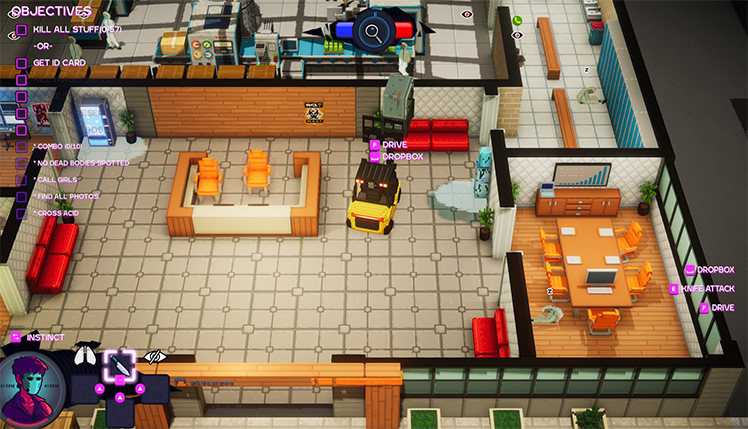 It lets players find important objects, people, or items with ease. With all of these new skills and features, things will only get wilder. While Party Hard 2 doesn't have an official release date yet, the alpha version is available for free for anyone interested. Developers are hard at work completing the long-awaited sequel to the original game. 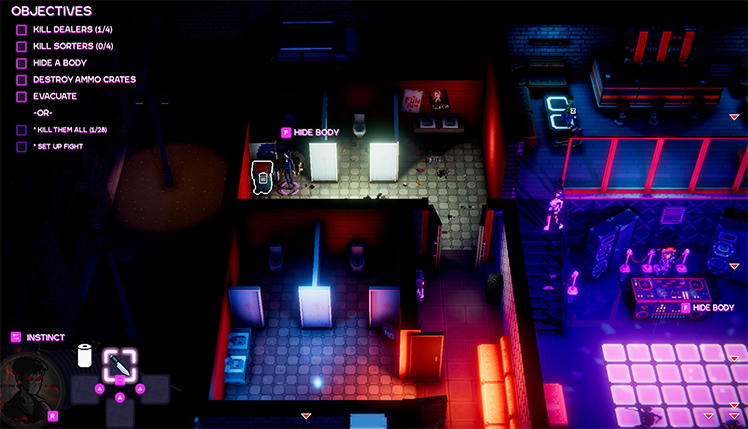 The corporate party that players crash is just the start of a long string of party murders. Play solo or with friends, sneaking around and causing all sorts of chaos. Hide bodies and keep from getting caught or suffer the consequences. Solve puzzles and unlock new characters. Use the Party Hard Killer's new abilities and discover completely new ways of showing those party punks who's really the boss. 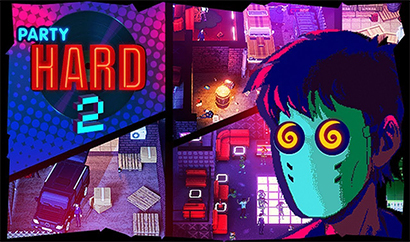 Party Hard 2 is the much-anticipated sequel to the 2015 hit stealth strategy game. You vengefully embark on a killing spree at your corporate party for not receiving a bonus. © 2018, Pinokl Games. Pinokl Games logo, Party Hard 2, the Party Hard 2 logo, are trademarks or registered trademarks of Pinokl Games. in the United States of America and elsewhere. All rights reserved.